The mourning does not end when the funeral is over, and nor should the personal care and support from your funeral home. For most, the time after the funeral signals the beginning of a deeply emotional search for meaning and a way to adjust to life without their loved one. 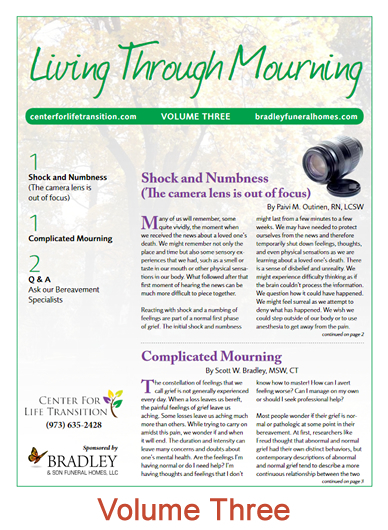 The Center for Life Transition (CFLT), created by Bradley Funeral Homes in 1999, offers a safe and caring place to help you, your family and friends transition through your loss with support and understanding. 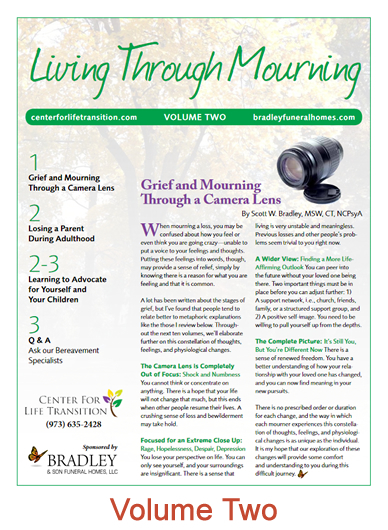 We are sensitive to the unique journey each mourner undergoes after a loss. Based on our caring experience with thousands of bereaved families, our wide range of support services allows us to assist you at every stage of your journey. 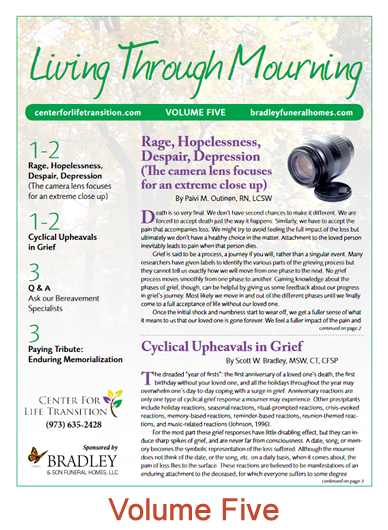 People who have suffered the death of a loved one, experienced a difficult divorce, been devastated by a job loss, begun fighting cancer, or faced other major life changes have benefited from the unique counseling services offered at CFLT. Sometimes it's helpful to share thoughts and feelings about our experiences with others; being connected with other people who have had similar experiences can be comforting. Support groups are also a place where difficult issues can be dealt with in an environment of caring and understanding. 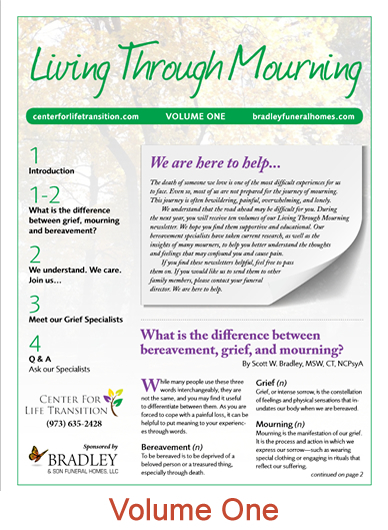 We offer free bi-monthly bereavement support groups that are facilitated by professionally trained grief and bereavement experts. Currently groups meet in Chatham on Wednesday evenings and Friday mornings. 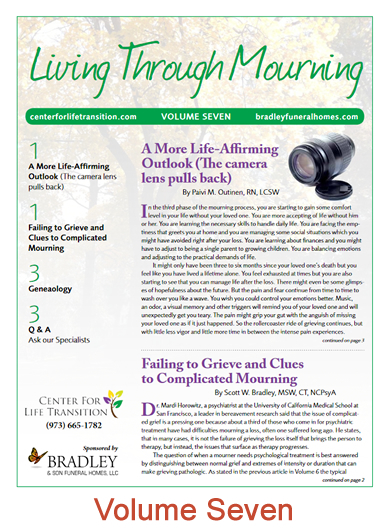 You will receive ten issues of Living Through Mourning, our bereavement support newsletter which contains informative articles written by our experts, as well as helpful tips for mourning in good health. 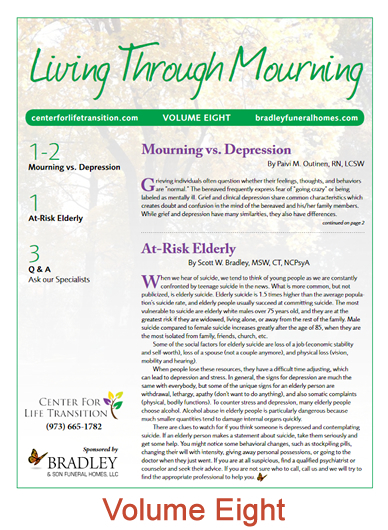 We occasionally will send updates on bereavement support news and events in your area. Many lasting and meaningful friendships have been created within our support groups and several have spawned social groups meeting outside of support sessions. For example, W2 Starting Life Anew is an opportunity for widows and widowers to get out, socialize and connect with others going through the same experience. We also provide access to a network of preferred business partners who we know and trust and can serve your legal, financial, and personal needs at this difficult time. Many people prefer a more individualized experience instead of--or in addition to--what a support group can provide. 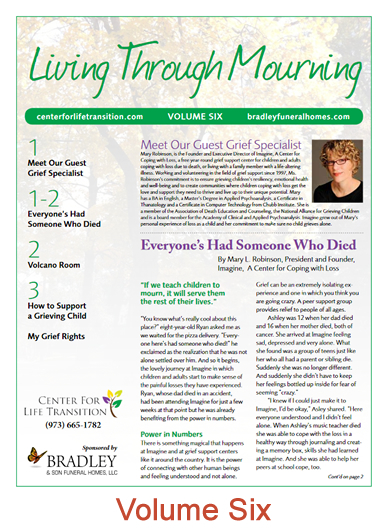 The therapists at CFLT will meet with couples, individuals, or several members of the same family to assist them through their bereavement process. Children and adults of all ages are welcome. Our professionals work with you and your family to tailor a treatment program that meets your emotional and budgetary needs. Ron has been a N.J. 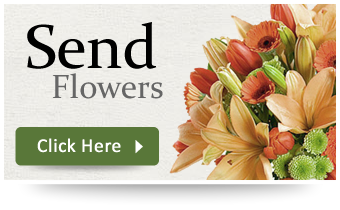 Licensed Funeral Director since 1977, specializing in advance funeral planning since 1994. 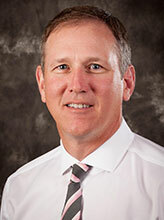 He has been trained as a Certified Preplanning Consultant by the National Funeral Directors Association. 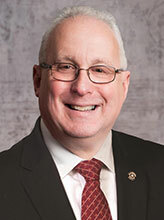 Ron is Immediate Past President of the New Jersey State Funeral Directors Association and is active in his community. Ron is also a parishioner and usher of Holy Spirit Church, Union, and has recently been named chairman of the bereavement team. 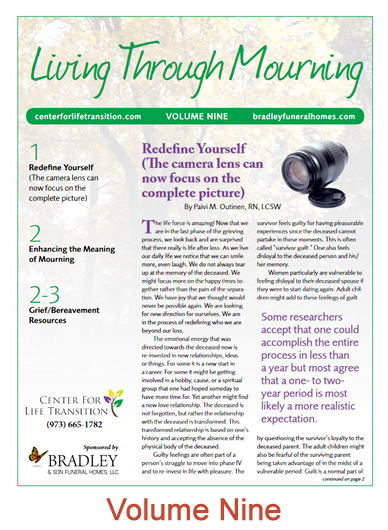 Mandi is the Program Director at Imagine, A Center for Coping with Loss located in Mountainside, NJ. 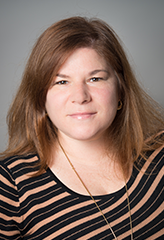 She earned a Master’s degree in Social Work from New York University and has a Certificate in Grief Recovery and a Certificate in Thanatology. 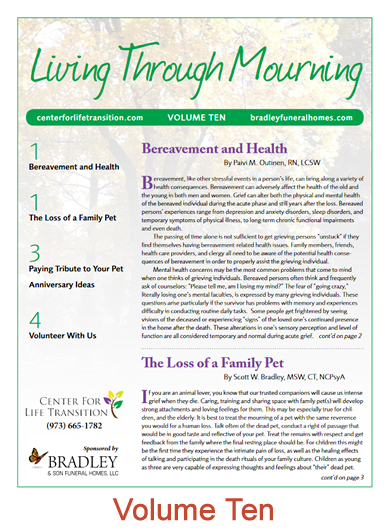 She has worked extensively in hospice and in school settings and serves as a Lead Responder for the Traumatic Loss Coalition in Union County. Mandi facilitates our Wednesday evening support group. 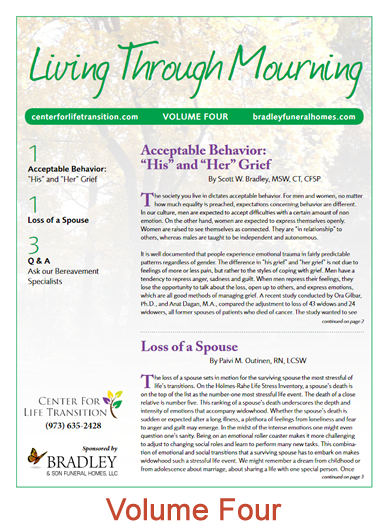 Scott is a practicing psychotherapist as well as owner and managing partner of Bradley & Son Funeral Homes, LLC. His five funeral homes assist 600 families a year in Morris and Union Counties, New Jersey. Since receiving his Master's in Social Work from New York University in 1999, he has been assisting patients with a full range of diagnoses. 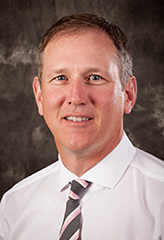 Scott is certified through the Association for Death Education and Counseling (ADEC) as an expert in the field of death, dying, and bereavement. 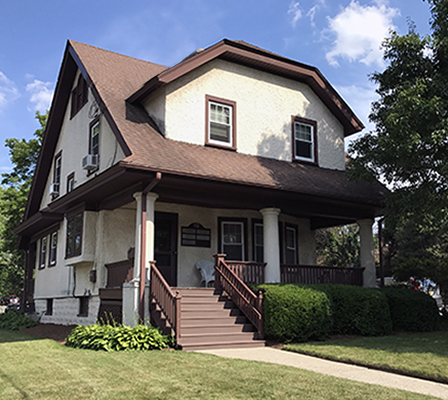 Continuing his postgraduate professional education, Scott attends the Academy of Clinical and Applied Psychoanalysis (ACAP) in Livingston, NJ and received his Certificate in Psychoanalysis in 2012. Please call our Aftercare Specialist, Doreen Hall, at (646) 771-4146 or complete the form below to request more information about Center for Life Transition.